The right logo sets the tone for your brand. Halo Designs can help you define your brand with a custom logo, business cards and letterhead. Scroll down or click on an image to see more. I've been working with the Society for the Prevention of Cruelty to Animals of Northern Virginia (SPCA NOVA) since I moved to the area in 2012. In 2017, leadership finally decided it was ready to update its eight-year-old website to something mobile friendly. I suggested this was a perfect time to also freshen up its logo - nothing extreme, just modernize it and add some color. The redesign also resulted in smoother and more realistic human and animal profiles. 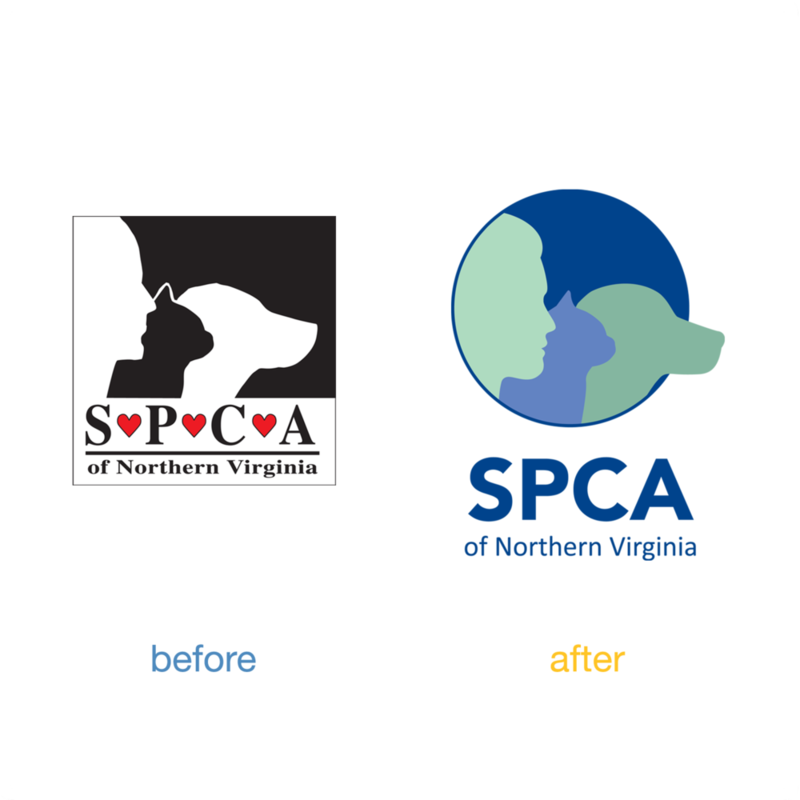 Redesign of the website is still in progress, but SPCA NOVA has been gradually updating its marketing materials with the new logo. 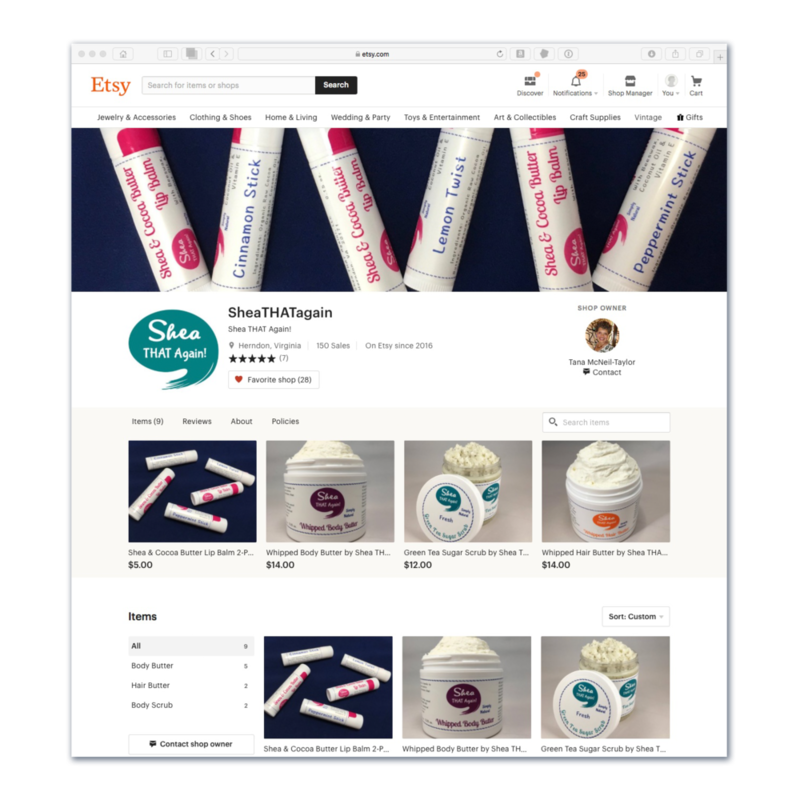 Like many small business owners starting out, Shea That Again’s founder put together a simple logo to get up and running. However, she later discovered that the logo did not scale up well for her trade show banner. 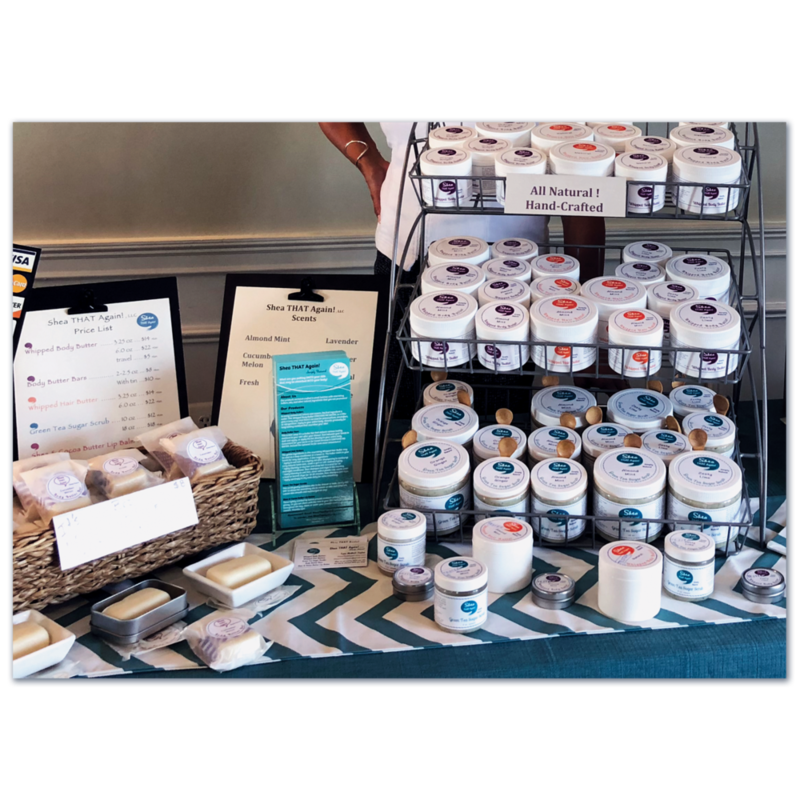 When we first met at a networking event in Ashburn, Va., Shea That Again! was simply looking to have its existing logo recreated in a file format that would scale up. While I appreciated the cleverness of her business name, I suggested the logo could be improved without taking away from her original vision. Since the business is selling shea butter products, I pitched the idea of making the speech bubble also look like a dollop of lotion. 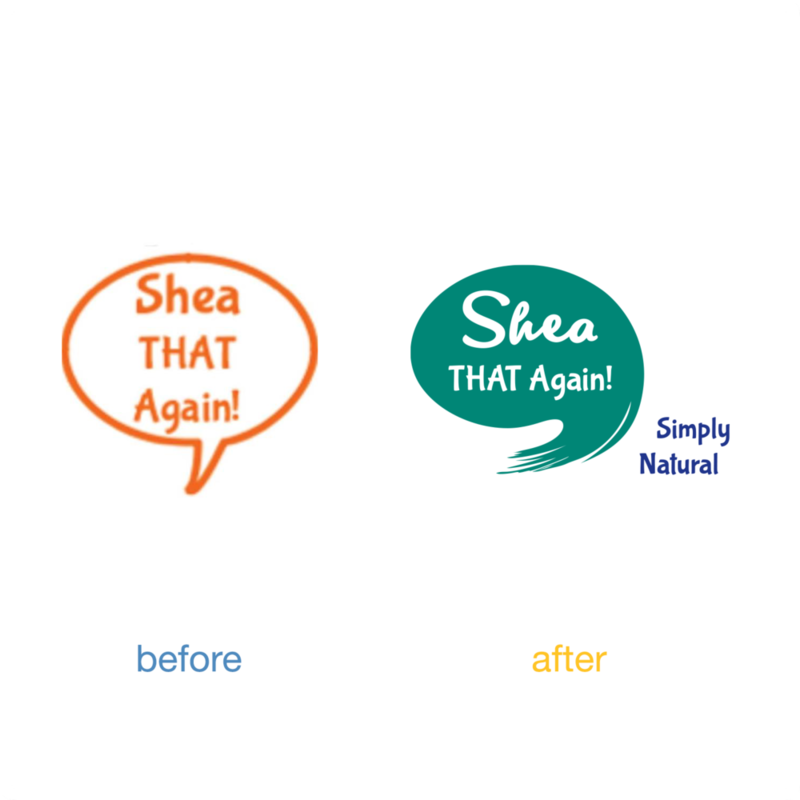 I also recommended putting more focus on “Shea” with a larger, decorative font, while still using her original font choice for the secondary words and tagline. 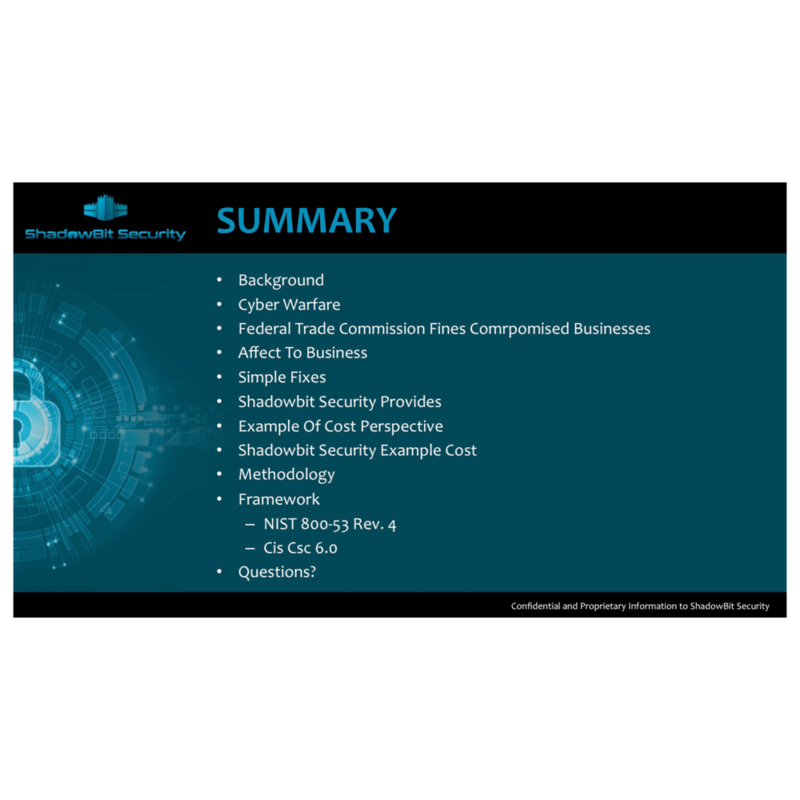 The result was a bolder, more modern, and completely scalable logo in multiple colors to represent different products..
ShadowBit Security, a cyber security firm based in northern Virginia, needed help developing its brand. I designed its logo, set up a mobile-friendly website on Squarespace.com, and designed Powerpoint and Word templates it could use to customize its own documents. Chantilly Electrolysis, in Chantilly, Va., hired me to design a print ad. The business had a logo it wasn't using, so I suggested updating it to a more modern, clean design. I kept the concept of the letter "y" representing hairs, but I put the text on a single line to illustrate how electrolysis extracts hair and placed it above a multi-colored line to represent how electrolysis works on all skin types (unlike some other hair removal techniques). I also added "Permanent Hair Removal" to clearly identify what electrolysis is. Angelee Marques hired me to design the logo for her new interior decor business in Ashburn, Va. I designed her logo and provided feedback on the name of the business, the URL for her website and other aspects of her business identity. 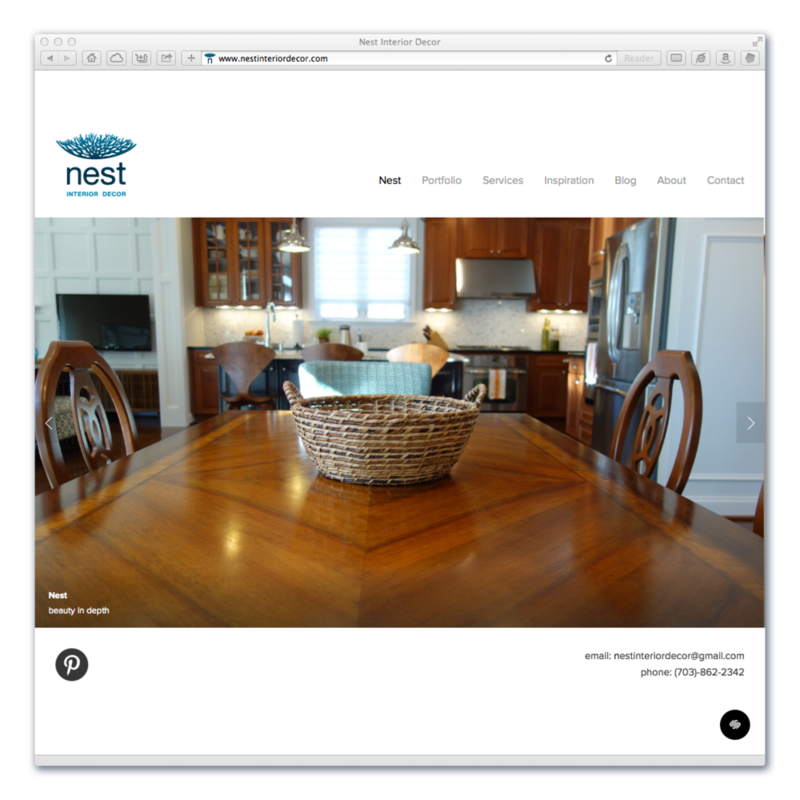 I also introduced her to Squarespace.com as a user-friendly place for her to create her own website. Once she chose a template for her site, I uploaded her logo and a custom favicon. 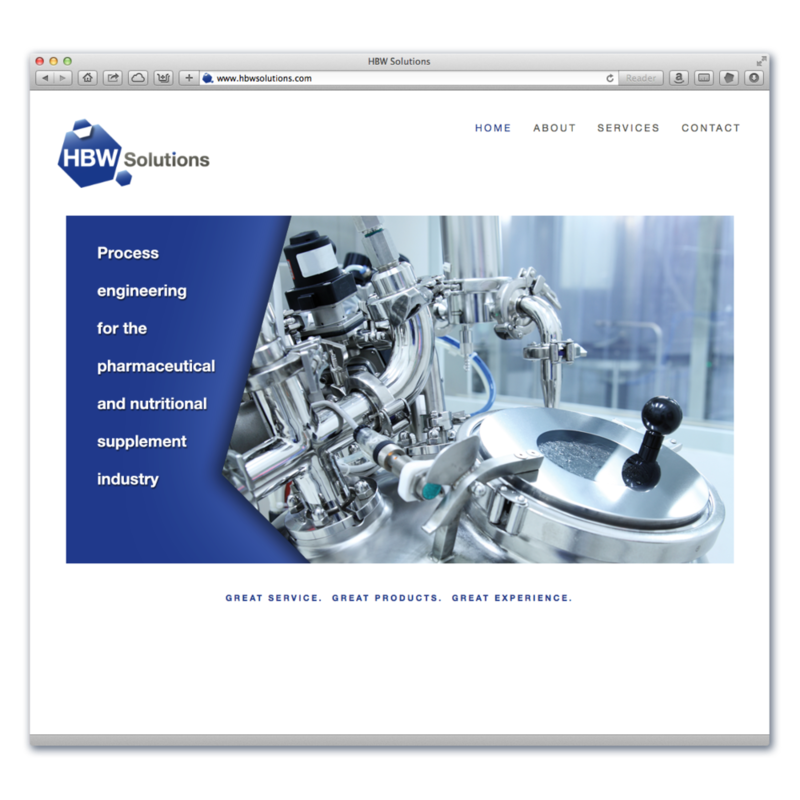 HBW Solutions, a process engineering firm, had clients lined up but no business identity. I got it started with a logo and business cards. I then focused on designing a website that HBW could maintain on its own at Squarespace.com. Synkros, a music publishing company in Rochester, N.Y., wanted a logo that embodied its tagline of “many streams - one source.” They sent me several water images to illustrate what they like, and I used them as inspiration. Pittsford Federal Credit Union, in Pittsford, N.Y., wanted to better define its youth accounts, so I worked with its membership committee to develop the identities of the accounts. 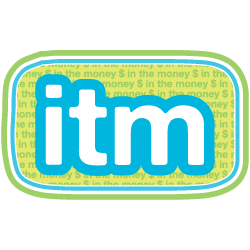 I suggested “ITM” for the tweens and teens accounts because it means “in the money” in texting. For kids under 10, I spelled out "In the Money" and hired artist Brian Walline to illustrate mascots. In addition to developing the account logos, I designed postcards highlighting the benefits of each account, one of which includes a maze I created for the youngest members to solve. 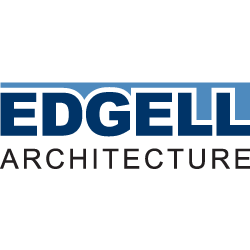 When Dan Edgell decided to start his own architecture business based in Buffalo, N.Y., I consulted with him on his business identity. I designed his logo and provided feedback on the name of the business, the URL for his website and other aspects of his business image. 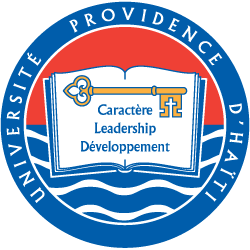 I learned of Haiti Providence University (HPU) from a friend in Rochester, N.Y., who asked me to create a logo for this developing higher education institution. I used the colors from the Haitian flag and drew the elements used in the logo: an open Bible, a key with cross, and waves to represent the island nation. The official language of Haiti is French, but much of HPU’s funding comes from American churches, so I prepared the logo for both languages. I also provided HPU’s president with the logo artwork so he could use it in his newsletters (designed by him) and other day-to-day promotional needs, such as a sign at their location. A few years after designing a logo for Haiti Providence University (HPU), I was hired by a friend in Rochester, N.Y., to design a logo and website for a charitable organization created to support the university. Friends of Haiti Providence University wanted a logo that used elements of the HPU logo, so I chose the key and waves. For its website, it wanted something it could maintain with minimal effort, so I designed a mobile-friendly site on Squarespace.com. I set up the HPU Friends' website template and filled several pages with content it provided, then I turned control of the site over to the organization to complete. 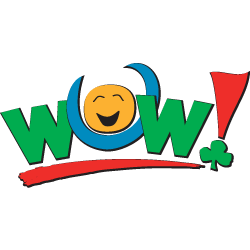 Westfield Washington Schools in Westfield, Ind., developed an initiative called WOW! (Working On the Work) to make students’ schoolwork more interesting and asked me to create a logo for it. I designed a trifold brochure to help the school educate parents on the new WOW! initiative. In addition, WOW! was featured prominently in the school’s annual report that I designed.